Thank you for supporting our proud and unique Dixie community and most importantly our children! We now have over 1,400 signatures including those we collected knocking on doors in the Dixie School District. In response to the recent Change the Name movement to remove the word "Dixie" from our school district, some community members felt strongly that we respond with a counter-petition to retain the name. 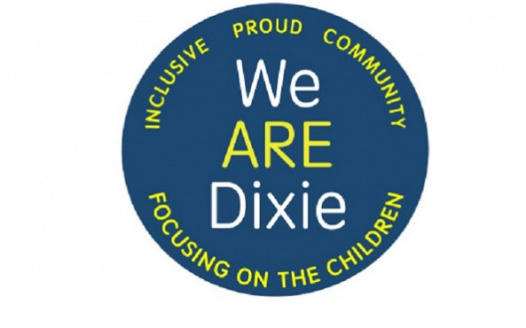 We recognize that the name Dixie has different meanings for different community members. To the Miwok tribe it represents the honor bestowed on their ancestor Mary Dixie. "I belong to the Dixie tribe ... I did not realize my family's name was so offensive," Marge Grow Eppard, a member of the Miwok tribe who said her family name is Dixie, told the board Tuesday. "I don't see no Confederate flags here ... You're going to change Mary Dixie's name, you dishonor all of us." To some, it might reflect a horrible and regrettable period in American history. To many others, "This is OUR Dixie!" and it is unique. We have 155 years of Californian history, over many generations, and have always been generous, proud, tolerant, inclusive and progressive. Keeping the name does not exclude, but rather redefines and preserves, the history of a small neighborhood very separate from that of the historical South. Many residents do not support the unnecessary costs of a name change that will burden an already financially strapped district. Even if the effort is “privately funded”, there is no guarantee that all the costs can be fully predicted or that future costs will be covered. If you would like to show your support for the school district and would like to see monies, time and resources stay within the district for other purposes, including the well-being and education of our students, please click on the "Sign Petition" button.  If you rather remain anonymous online, you are free to unclick "show my name on the online signature list". Your signature on this petition will be provided to the School Board without public recognition. Please use your full name. We would like to preface this FAQ by stating that we try to view the world with a balanced view. When there are disagreements between groups or individuals, there is almost always a gray area where the truth typically lies. We have tried to consider varied viewpoints in these responses. We are saddened by the division this issue is causing within our community, but believe it is our responsibility to ensure that any process is managed in an open and transparent manner and that the community is fully informed and engaged. Furthermore, we want to ensure that those in positions of authority on the school board, do not act in a manner that breaches the trust we have placed in them as stewards of our children’s education. We are a concerned and rapidly growing group of community members, including parents, friends, families, alumni, liberals, conservatives, different races and religions, who all want to ensure that our board is aware of its responsibilities and understand that they need to engage with our community in a transparent and democratic process in order to hear our views. Most of all we want to ensure that the primary focus is the children. Please contact us at werdixie@gmail.com if you would like to discuss this issue or participate in any way. To be open and transparent, the origin of the name is disputed and there is no conclusive evidence to support any single position. The Dixie School District is named after the old Dixie Schoolhouse (http://www.dixieschoolhouse.org/) and the Dixie Schoolhouse Foundation provides the following information on the website. Brad Honsberger, president of the governing board of the Dixie School District, was quoted in the Marin Independent Journal on July 18, 2015. Others suggest the name was intended in homage to the confederate states. This is supported primarily by comments attributed to James Miller’s great-grandson in 2010 …. 147 years after the school was named. Unfortunately, all the information regarding the origin of the name is hearsay and there are no written records from James Miller as to why he chose that name. Is the name Dixie racist? Is our community racist? No, the word “Dixie” has many uses and meanings. Hopefully, nobody on either side of this discussion really believes that our Dixie is a “confederate outpost in Northern California” as it was described at a school board meeting recently by pro-change advocate, Noah Griffin of Tiburon. Who is pushing for changing the name? The public was not made aware of the recent campaign to change the name until Trustee Ms. Glickman Curtis and Superintendent Dr. Yamashiro, and several out-of-district activists made statements in an ABC news interview in late-August. Ms. Glickman Curtis and is leading the charge and has recruited the following political figures from outside the Dixie School District; Noah Griffin of Tiburon, Kerry Pierson of Mill Valley and Tamela Fish of San Francisco. This is the fourth time this proposal has been brought up. Attempts to change the name in 1997, 2003 and 2015 were unsuccessful. Some of those advocating for change have pure motives and the sympathy of many who, while we may disagree on this topic, understand that it is a personal belief. Unfortunately, others are using this issue to further political ambitions and doing so without engaging with the community. Rather they have engaged with activist groups and the press, apparently in order to try and institute a change without canvassing their constituents. If we are to even consider a change of this magnitude it cannot be made without full transparency and community engagement. Each and every school board member should state where they stand on this issue before any more time is invested. Since August, significant financial resources have been diverted and the Board and district staff have been forced to commit numerous hours to consider the issue. At the most recent board meeting, the Dixie name change was discussed for more than five hours. Of greater concern, attorneys have been engaged and the threat of litigation has arisen, which means attorneys are now costing the district even more. Nobody knows exactly how much it is going to cost to rename the school district. However, Mr. Yamashiro and Tanya Michel recently gave an estimate of $18,253 to change only the district name (no costs were yet included to change Dixie Elementary School). In that report it was also noted a possible community support loss/gain of an added $103,000 per year based on this past year’s contributions. What we are sure of is that the district is already incurring a "cost" as the school board is spending a copious amount of time on this issue. Unfortunately, that means they are already distracted from their primary responsibility as stewards of our children. If this matter is going to be considered by the school board then it is imperative that it is done transparently, with full community engagement. That, in and of itself, will require a significant amount of time and resources to be spent. As such, before anyone considers engaging in an expensive and time-consuming assessment of the potential cost, we should acknowledge that rebranding a school district will require a significant investment. This will likely include community engagement and education, legal counsel, physically rebranding buildings, buses, street signage, district documents & websites, updating financial forecasts and more. As an example, the Palo Alto Unified School District commenced an assessment to change the name of two schools in December 2016. When the changes were finally implemented in March 2018, the estimated the cost was in excess of $200,000. No, it cannot. Even if the community agreed to the name change, the district would be unable to pay for it without redirecting already limited resources. The school district is currently unable to provide programs such as Art, Music & P.E with their already limited budget. As such, they already rely heavily on family donations through Can Do! to fund these programs. Unity not division is what we need. We would be wise to take guidance from Abraham Lincoln, who is rightly a beacon for those who consider one of America’s greatest victories to be the end of the abhorrent practice of slavery. *By signing this petition you consent to We Are Dixie contacting you via email with updates. You may unsubscribe from any email updates at any time. Do you live in the Dixie School District?